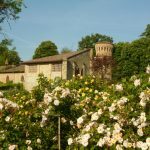 We’ve created an unusual and special tour thought for who feel to have a green thumb, who love gardening or simply desire to spend a day in fascinating landscapes, visiting some of natural art works. For the Europa League match between Atalanta and Olympique Lyonnais in Reggio Emilia on 7 December, ITINERE welcomed for the second time the french team, most of the staff and the press. ITINERE & CLUB DI PRODOTTO REGGIO TRICOLORE will be at the 3° edition of the GOOD ITALY Workshop that will take place on October 30th at FICO Eataly World in Bologna. 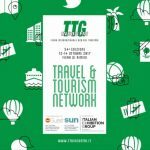 ITINERE & CLUB DI PRODOTTO REGGIO TRICOLORE will be at the 54° edition of TTG Incontri at Rimini Fiera, from October 12th to October 14th, 2017. On the occasion of the Vassily Kandinsky’ s exhibition, Itinere and Club di Prodotto Reggio Tricolore have extended the touristic offer for those who love our territory and culture. ” Kandinsky → Cage: a major journey through art and music “: this is the name of the exhibition that will involve the audience in a journey that starts from Kandinsky and finishes with Cage, from November 11th, 2017 to February 25th, 2018 at Palazzo Magnani in Reggio Emilia. The project explores ideas of interiority and spirituality as open themes that encompass many influences. 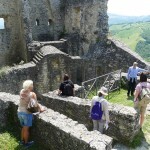 Matilda of Tuscany Educational Tour was organized in collaboration with Emilia Romagna Region Tourist Board, on the occasion of Wolgang Minaty visit. The journalist and his photographer Mrs. Egger were welcomed by Itinere and Club di Prodotto Reggio Tricolore from June, the 14th to 17th. They had the pleasure to experience the Via Matildica of the Holy Face, a sacred itinerary that travels through the life of Matilda of Tuscany (Matilde of Canossa), one of the most important and interesting figures of the Italian Middle Ages. 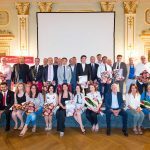 Lambrusco Fam Trip MATILDE DI CANOSSA : wine competition in Reggio Emilia (June 29th to July 2nd) organized by Chamber of Commerce of Reggio Emilia. 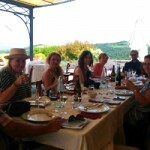 On this occasion Itinere hosted 7 wine-expert journalists, who had the opportunity to discover the food and wine traditions of these lands as well as its citiziens. A 3 day press tour with the aim to reveal our incredible Heritage. During the first day the press staff made its way through the city as well as attend the Matilde di Canossa cerimony, taking the chance to taste the winner local wines. 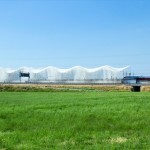 Discover Via Emilia – Modena & Reggio Emilia. 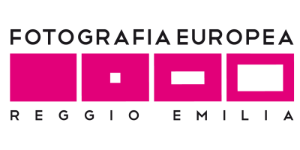 This is the name of the Press Tour USA that will take place between Modena and Reggio Emilia on Friday, June, the 9th in collaboration with APT Servizi Emilia Romagna. Itinere will deal with the organization and the incoming of 6 journalist: after a lovely welcome by our staff let’s start! The documented history of balsamic vinegar from Reggio (and the better known produce from Modena) goes back to the Renaissance, when the aristocracy first, and later the middle classes, started the custom of making their own vinegar at home by leaving boiled local grape must to age in special barrels. “Via Emilia – Arte e Enogastronomia”is the Educational Tour promoted by APT Servizi on April 5th for the occasion of BUY, the Regional Tourism Exchange aiming to promote the meeting between touristic offer and demand in Emilia-Romagna region. Via Matildica of the Holy Face is an itinerary connecting the most important spots in the life of Matilde di Canossa, in a spectacular combination of history, religion and tradition. 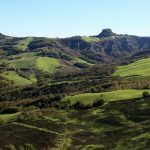 ITINERE organizes tailor-made tours to combine the discovery of Matilde di Canossa places with enogastronomic experiences, in a territory full of care and love for its origins. 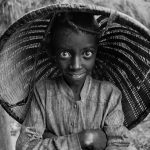 Fotografia Europea 2017: exhibitions from May 5th to July 9th. 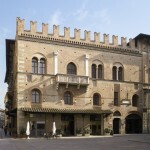 Take the opportunity to discover Reggio Emilia and its excellences. 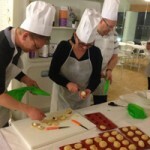 ITINERE had the pleasure to organize four days of staying – from March 2nd to March 5th – for 15 Swedish engineers who decided to take part to Team Building activity in Reggio Emilia and combine it with an interesting discovery of the city and its excellences. Business Incoming & Team Building: from January 18th to January 20th ITINERE had the pleasure to organize and manage two days of team building for Techem s.r.l. 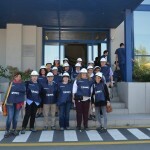 The team building activity gathered more than 130 clients, among office workers and managers, coming from the branches of Milan, Rome, Turin, Bolzano. 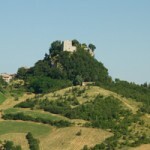 Canossa, located on Reggio Emilia hills, is the heart of the Land of Matilda. 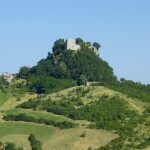 In an area full of architectural and natural beauties, its name comes from the main castle, Canossa Castle, symbol of Matilda’s kingdom. 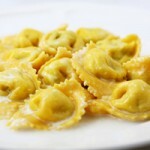 Cappelletti is a typical holiday meal in Reggio Emilia, prepared by family members in order to celebrate together. An ancient tradition which conserves its goodness and pride. Tastings in Motor Valley: from November the 24th to November the 26th 2016 we welcomed 20 English hosts, who enjoyed a tour to discover the Motor Valley together with its famous car brands such as Lamborghini and Ferrari. They were also introduced to the great variety of culinary excellences of this area, like Parmigiano Reggiano, Traditional Balsamic Vinegar, Lambrusco and Parma Ham. Richesses et Délices d’Italie. Tuesday, October the 4th – Saturday, October the 8th 2016. Itinere had the pleasure of welcoming six Canadian guests to discover the excellence of Northern Italy, in particular the Emilia area. 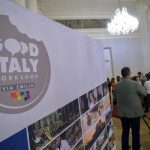 On the occasion of the Workshop “Good” in Rimini, October 6th to 10th, ITINERE welcomed thirteen tour operators from different countries (United States, Luxembourg, Australia, Czech Republic, Hungary, Norway, Russia, Germany, Spain and France ) in Reggio Emilia. The discovery of the excellent food and wine, art and culture and the European Photography were the main themes of the Educational tour that took place on Saturday and Sunday, October the 8th and the 9th. Good Italy Workshop. 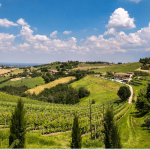 60 buyers coming from all over the world will meet the best of the Italian Food & Wine tourism suppliers, in the heart of the Food Valley: Emilia Romagna. Itinere and Club di Prodotto Reggio Tricolore will participate to this important workshop that will be held in Rimini on Friday, October the 7th. Food Immersion: the creative cooking Festival will take place from 30th September to 2nd October 2016 in San Pietro Cloisters in Reggio Emilia. 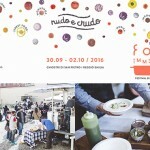 The 5th edition of this creative cooking festival will focus on the theme of “Nudo e Crudo” (naked truth), which will be showing varieties of raw food and it will make understand how the food has ancient origins as well as recent tendencies. ITINERE, the DMC and TOUR OPERATOR incoming will take care of any aspects regarding the clients’ stay, highlighting the excellences of Emilian territory. 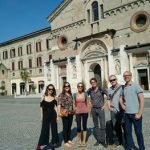 Six Scandinavian reporters will arrive in Reggio Emilia on the occasion of “Matilde di Canossa – Terre di Lambrusco” wine competition. ITINERE in collaboration with APT servizi have organized the Educational tour as an opportunity to discover the area and to promote the Lambrusco reggiano. 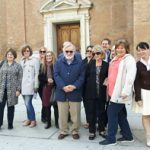 ” The thousand faces of the via Emilia “, a new Educational Tour organized by ITINERE and PRODUCT CLUB REGGIO TRICOLORE to bring six journalists of the German language to discover Reggio Emilia, Modena and Bologna . 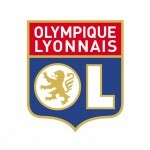 For the Women Champions League Final, held in Reggio Emilia last May 26, ITINERE welcomed the management and most of the Olympique Lyonnais’ staff: 140 people in total. 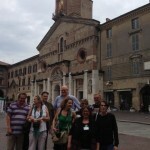 From the 2nd to the 10th of May, ITINERE and CLUB DI PRODOTTO REGGIO TRICOLORE organized an Educational tour to discover the Emilia Romagna excellences, visiting Reggio Emilia, Modena and Bologna. 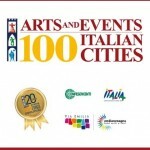 Itinere with Club di Prodotto Reggio Tricolore will be present at the 20th edition of the “Arts and Events Italian Cities 2016, the most important and famous Italian event about art and tourism’s commercialization. Women’s UEFA Champions League Finale. 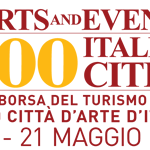 Reggio Emilia hosts one of the most important sport events of the year and one of the most important photographic exhibitions of the year, along with one of the greatest gastronomic cultures of the nation, with one of the most glorious auto traditions. 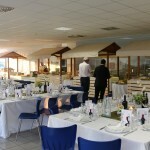 ITINERE offers you two itineraries of different duration to satisfy all demands. 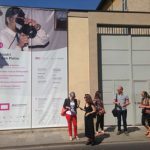 From the 6th of May to the 10th of July, during Fotografia Europea 2016, ITINERE proposes a 2 days tour of Reggio Emilia, to discover places, sights and flavours of our territory. We are waiting for you! Itinere and Club di Prodotto Reggio Tricolore on the front line for the promotion of Reggio Emilia and his territory, at the BUY Emilia Romagna. 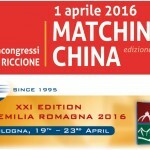 Meet Itinere and Club di Prodotto Reggio Tricolore at the “Matching China” workshop and at the “BUY Emilia Romagna” in April! ITINERE had the opportunity to organize a tour of 5 days for Kurt Ganapathy, reporter of the wine and food magazine “Cuisine & Wine Asia”, in a journey in search of the best products of our lands. BIT : International Travel Fair (Milan, 11 – 13 February). 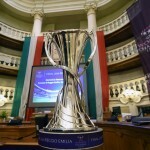 CLUB DI PRODOTTO REGGIO TRICOLORE & ITINERE will take part at it. 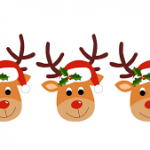 ITINERE offices will be closed from Thursday, December 24, to Wednesday, January 6, included. 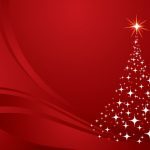 We wish you our best greetings for Merry Christmas and Happy New Year. 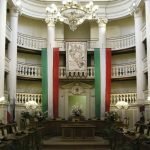 Richesses & Délices d’Italie – l’Emilie-Romagne: un circuit en Emilie-Romagne pour découvrir l’Italie du nord avec notre agence ITINERE. High-speed train: travel everywhere with us! High-speed train: travel everywhere with us from/to RE MEDIOPADANA high speed train station! Where is it? it’s in Reggio Emilia, of course! That’s why Brevini Fluid Power for its exclusive Open Doors Event “Brevini_Expo” decided to rely on Itinere and its incoming business service. Itinere organized for a couple of artists a tour discovering the making of our lambrusco wine. 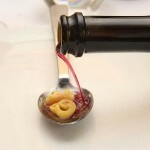 A three-day visit to the production area of Lambrusco Wine, Parmigiano Reggiano Cheese and Traditional Balsamic Vinegar. 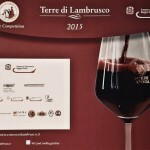 Taking part in the award ceremony “Terre di Lambrusco Wine Competition”. Itinere and Club di Prodotto Reggio Tricolore have organized for today the staying of a group of german journalists visiting the region in occasion of the Matildic festival. 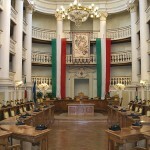 Tourism: Itinere and Club di Prodotto Reggio Tricolore frontline for the Educational Tour BUY Emilia Romagna. 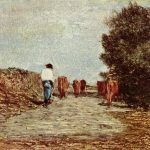 Contemporary art, history, tradition and gastronomy. A special package arranged just for you: a visit to the historical palace of Hotel Posta and the Sala del Capitano del Popolo, accompanied by the visit to the Exhibition dedicated to Piero della Francesca. Until the 14th of June, hurry up! Unindustria & Itinere for RExpo Day A “package to please your foreign client” sponsored by Unindustria and organized by the incoming agency Itinere, who will take care of the reception. The offer will last from May to October. 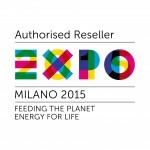 Expo 2015, will be held in Milan from May to October 2015. 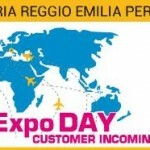 Itinere is ready for this universal exposition: we are official sub-reseller of Expo Milan entrance tickets as well as high-speed train tickets. Take the opportunity to visit the Northern Italy with us! 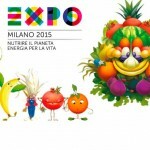 Feeding the Planet, Energy for Life: visitors to Expo 2015 will be able to find out how behind every food tradition, there lurks a story that speaks of peoples, of lands, of places. 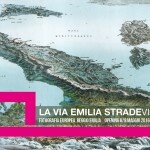 Come and discover Reggio Emilia ones too. Summer Holidays from 11th to 24th August. ITINERE offices will be closed from 11th to 24th of August.